Twenty years ago, a disco-loving theatre educator wondered how to make A Midsummer Night's Dream more accessible to students. The Bard's characters combined with 70s pop culture and dance hits become A Midsummer Night's Fever! A hit school show then proved to be a hit Fringe show. Check out some fresh new faces as they SHAKE their booties and sing classic disco while telling Shake's hilarious stories. From the name alone, I walked into this show excited, having a deep and long-standing love of Shakespeare and Saturday Night Fever. A stage set up with glittery sign, disco ball and 70s favourites playing on the theatre speakers set the scene perfectly. 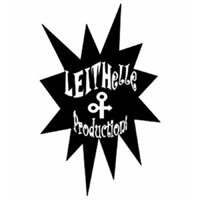 This is the first time I’d seen anything from Leithelle Productions, and I was interested to see how they blended these two popular but different pop culture and theatre phenomenons. Queue the stage lights, and energetic dancers took the stage in dazzling costumes, singing a rendition of “We are Family”, with the audience immediately clapping, singing along and dancing in our seats. The fast-paced show moved through a great selection of tunes from Elton John to the Bee Gees to Errol Brown, all written into the screenplay right where it made sense with the plot, and some slightly adapted to fit this show. It was a very fun, clever and period appropriate adaptation of Shakepeare’s Midsummer Night’s Dream, as they changed the context of the drama, inserted a plethora of pop culture references, puns, and physical comedy that had us all howling with laughter. The characters that many of us know from the original play found themselves in a new scenario of a dance studio production, with the drama and comedy of young love, potions and scheming by Puck played out in a wild and hilarious fashion. The only part that I feel could have added to the performance is the projection and volume of the singers’ wonderful voices. The John Hirsch Mainstage is a larger venue, and without any amplification or mics, some of the song lyrics and dialogue were a bit too quiet and difficult to hear, even from my spot in the third row. The blend of rhymes, jokes, music, poetry and comedy resulted in a thoroughly enjoyable, hilarious, and at times unexpected production that I would highly recommend for a good laugh and nostalgic visit to a time that some of us remember fondly and others wish we hadn’t missed. As intended by the writer, it makes the material from Shakespeare a lot more relatable, accessible and fun in a new way! The costumes were terrific, the disco was fab, and I was on my feet at the end and I’m still grinning ear to ear! Great show!